King Courgette are a five-piece self-styled "vegetable string band" from York described by Americana UK magazine as "one of the finest purveyors of that junk band, depression-era, old-time drinking music." We combine bluegrass, a hint of swing and a whole lot of hoedown into a righteously spiced ratatouille. - mixed and mastered by Si McGrath. Our first appearance at York's very own Fringe Festival. Tickets are 8.00 pounds but just 1.00 for kids under the age of 12. We will have lots of percussion instruments available for small people and possibly the odd big one!! King Courgette will be playing mid-afternoon at this great Family Festival set in the shadow of Ripon Cathedral. Adult entry is 5.00 pounds. Beer, food, bouncy castle and us (in that order). Festival from 11.30-5pm. A four-piece King Courgette opening for The Washboard Resonators, a foot-stomping banjo and washboard duo. The Ripon Cathedral Beer Festival is an annual festival of live music, good food and beer. The Black Swan is 600 years old and a day of music is planned to celebrate. 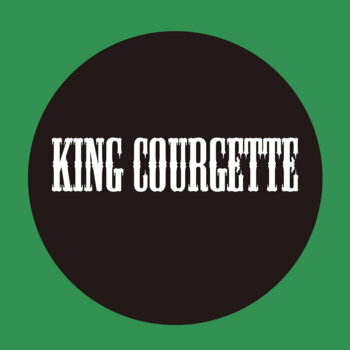 King Courgette will be playing a 50 minute set as part of the day's roster. King Courgette playing the Seven Arts acoustic night along with James Carson, Graham Browning Trio and Joe Kemp/Tracey Nicholls. Entry 6.00 pounds. King Courgette supporting Snakerattlers, plus Mark Wynn and The Exes: should be a lively evening. Fabulous free festival: food, beer and music in the heart of York. Cornucopia Festival is a three-day boutique festival taking place between 23rd and 25th September. We are playing on Sat 24th at 12pm.